Ottawa city council should vote in favour of allowing retail pot shops once they're allowed next April, a move that appears to have the strong support of residents, according to a city staff report tabled Wednesday. Nearly 24,000 people responded to a survey posted online for two weeks earlier this fall, however only about 16,000 of them were residents of Ottawa. The vast majority of Ottawa respondents — more than 12,000 respondents, or about 80 per cent — are in favour of cannabis retail shops. Most said they would prefer to buy pot in a physical store as opposed to shopping online. However, a telephone poll conducted for the city by EKOS Research, which city staff characterized as more "scientific" than the online survey, shows residents are split on whether to allow cannabis retail stores in Ottawa. According to the EKOS poll, 48 per cent of respondents were in favour of pot shops, while 43 per cent were against. Among the 53 per cent of respondents who support the legalization of marijuana, support for retail shops was predictably high. "There's an element of division," conceded Mayor Jim Watson, who spoke with reporters after the council meeting. "We can argue until the cows come home whether it's the right thing to do or not, but at the end of the day, it is legal to possess cannabis and we should be in the business of providing storefronts for that." 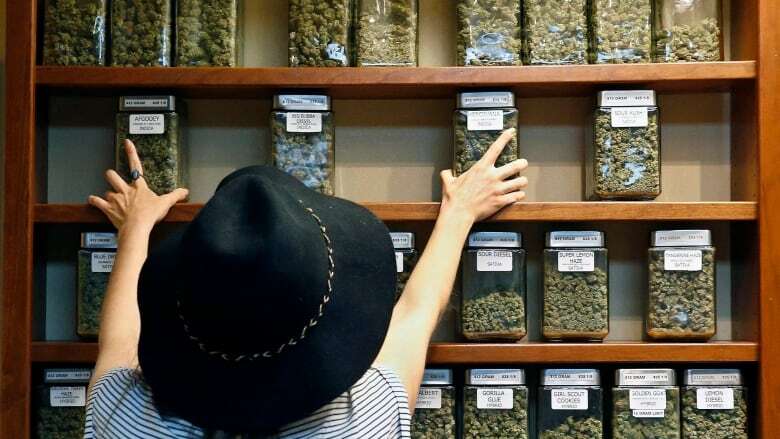 The demand for cannabis, which has been legal since Oct. 17, is clear, and opting out would encourage people to obtain pot through illegal sources, according to the report. "There are reasons we should have cannabis stores in Ottawa," said Watson. "Because if we don't they'll be going to Gatineau, the black market will continue and we'll have product that has no testing or quality standards." There's also a financial incentive for cities that opt in: Ottawa could receive up to $1 million annually from the province for hosting the retailers, whereas cities that opt out now would get as little as $5,000 if they decide to opt in later on. And if after two years the Ontario government earns more than $100 million from cannabis sales, the province would share the surplus with cities. Ottawa estimates legalization of cannabis will cost the city $8 million a year. The new council received a copy of the hefty report toward the end of its first meeting. It won't be discussed, debated or voted on until a special council meeting set for Thursday, Dec. 13, when council will also hear from public delegations. Council doesn't have a lot of time to make this decision. The Ontario government has given newly elected councils only until Jan. 22, 2019, to say whether they want to host cannabis retailers. The Ontario government has decided on a private retail model that gives municipalities little say on where the shops can go, or how many can open. Instead, the Alcohol and Gaming Commission — the same agency that doles out liquor licences — will have sole responsibility to decide who gets a retail licence. Watson has said previously that he didn't support a private retailing model and would have preferred they were sold through the LCBO, as the previous provincial government had planned. The mayor said he's continuing to lobby the province to give the city more authority over the location and concentration of the stores.